When planning a wedding it can be the most enjoyable, exciting and fantastic time of your life. On the other hand it can be the most stressful and daunting time and if you are trying to arrange this in a Spanish place like Ibiza, it will just add to your distress. This is where Ibiza weddings Spain comes along to help organize, plan and ensure your wedding day is the perfect for both of you, and your guests. The selection of services will all help you create with expertise and attention to detail make your dream wedding without any stress. Whatever your dream consists of our services advertised will help create your wedding package to suit you and your pocket. The site has listed a selection of great wedding services from all over the island. We will have more new venues and wedding services joining our network all the time and this creates an exciting list of excellent people, venues and services to use for a successful wedding. 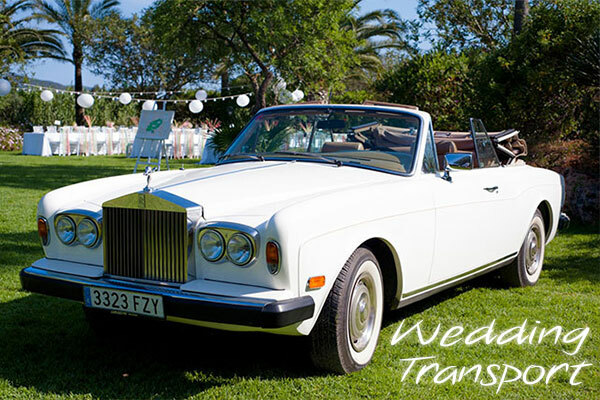 You will be able to organize almost everything for your wedding in Ibiza with the most efficient, impressive transportation, whether your dream is a stretched limousine, vintage cars or Mercedes cabriolet, all chauffeur driven with decorations. If your wish is to get married on the beach while to sun sets, or at a beautiful Ibizan church or even in the private grounds of your villa, you should be able to find it here. The planning is the crucial part of your wedding event and everything that happens on your day of your life has to be planned carefully and productively. Great wedding events are not planned in one day. Some weddings take weeks even months to plan we hope this site can help speed up the process and make it a lot easier. Ibiza is one of the great ideas for having a wedding or blessing, but for more ideas and more inspiration come from you as the wedding couple to do some great planning, which is essential in to push your wedding day to its limits and give the day the wow factor. The most wanted venue on Ibiza is on the beach. This is the most popualr trend, a wedding on the beach has got gotten more popular in the last few years on Ibiza with a number of venues popping up providing this great service. There are over 80 beaches around Ibiza and good percentage beaches on Ibiza have bars and restaurants on them. A beach wedding on Ibiza or Formentera can make a perfect wedding on Ibiza. Beach venues to suite lower budgets are available but most are aimed at the high end market. A beach venue is normally a restaurant or bar located directly on the beach. Ibiza is a beautiful location as is with spectacular sunsets, landscapes, beaches, countryside and typical Ibiza architecture that dates back hundreds of years. Discovering the Island of Ibiza and resourcing a number of great wedding venues should be a hot agenda before choosing your venue. A visit to the Island of Ibiza before you wedding is one option. The options are endless and it’s all down to you and your partner to decide on what kind of wedding you want. A beach wedding or in a private villa, or how about a luxury restaurant or hill top hotel. We have an endless list of possibilities to choose from. Your ideas, feeling and budget can push you into finding the wedding venue of your dreams. A venue on Ibiza is something special and having the right location with stunning views of Ibiza is spectacular. Another option is a boat, have your wedding on a large boat that could take a capacity of over 80 people or if you are a smaller group then we you can source smaller boats to your requirements. A boat has advantages of moving around to some secluded bays around the Island and also seeing the sunset at sea across the Ibizan Island landscape. A trip to Formentera is also an option to visit some of the beautiful beaches. A boat for a wedding is rather unique and getting married at sea is a truly amazing experience you will never forget. Depending on the venue, a catering company made need to be brought in to supply the food. Catering is the most exciting thing you can impress your guests with and the Balearic Islands can offer you a massive array of food. Depending on where you choose to host your special day, you can decide on Hot and cold buffets served anytime and anywhere you want. Maybe you’d like to have an aperitif served by a pool, followed by a succulent meat and fish bbq. It’s very hard to choose but it’s simple to put it all together. You could bring in a team of excellent, efficient caterers, whom can offer you a numerous selection of exciting menus. Ibiza has a range of caterers who use a wide selection of different food ideas from all around the World from simply doing a traditional wedding dinner to the more exotic styled cuisine. 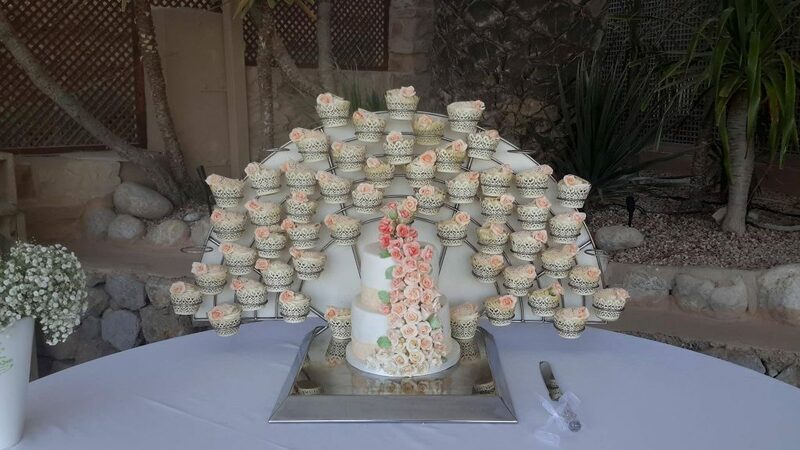 A wedding cake is a must and Ibiza has some unique cake makers too bring you a kind of wedding cake or cup cakes you want. Your wedding venue, flowers and cake can all be matching colors. Something to think about when you talk to a cake maker. You cake design not only needs to taste good but look outstanding as well. You got the venue now the decorations and first decoration that comes to mind for a wedding is flowers. Flowers are magical; they complete the image of a beautiful setting and create the scene for a romantic wedding. A beautiful bride with her bouquet of flowers, depending on the season and the color you can have put together the most stunning bouquets and arrangements of flowers. Whether you decide for something simple or maybe you’d like something sophisticated and special dedicated to your own style, a florist can offer you a vast array of bouquets to choose from to match the brides dress color. What would your Ibiza wedding be without music, Ibiza is the Island of music and the home to many musicians who get there inspiration from the Ibiza vibe. Music changes moods, opens hearts, relaxes minds and music is something that brings joy to every special occasion or event. A key component to a wedding in Ibiza is music. If it’s a small gathering or large a wedding without music would not be complete. The Island of Ibiza is very musical and just where do you start, so much to think about when choosing the music for the ceremony, all this can be rather daunting. If you are not a classical music expert and wouldn’t know the difference between Mozart and Bach then you going to need some help? There are music types for prelude, bridal entrance, recessional, interlude and processional which would confuse anyone. We have a selection of singers and musicians dedicated to weddings. Your guests that you have invited who do not have transport or do not want to drive with the worries of having to drive back to their accommodation after the wedding under alcohol will need some sort of transport. Ibiza weddings spain has some options of all types of transport companies and If you need a private bus to collect your guests these options are available. The Island is at its peak in July and August and it’s probably best to arrange your wedding before or after these months. The season starts in May and finishes in October for Ibiza. The weather is at its best from middle May to late September. The ideal time for a wedding on Ibiza is September, with May and June also a good time for those on a budget, although the weather could be unpredictable at either end of the season. August and July the Island is very busy and the prices of accommodation are at their peak. See some more useful tips for a wedding in Ibiza click here.